It is a gloomy and stormy Monday here in Iowa. I woke up to rain and wind, but it wasn’t severe here like it was in other places. Hopefully that continues through the rest of the day now! I was planning on starting my 6 a.m. Couch to 5K workout this morning, but I am drained again and decided sleep would be best. I still aim to get this started this week though! I just don’t get it—I get plenty of sleep but I keep waking up exhausted. My home sleep test results came back and while there were only two apneic episodes in the night, my oxygen never dropped into levels which are considered sleep apnea. The doctor said that it wasn’t truly diagnostic and told me to have a sleep test done at a sleep lab. I told her I’d get back to her about that. After how I keep feeling, I’m wondering if it might be best to have that done, as much as I don’t want to. My Fitbit continues to show 30-40+ times restless at night. Although, for the first time, it only showed 10x restless last night and I got 8 hours of sleep. It’s odd that I feel especially exhausted this morning. I had to give myself some TLC this past weekend after hitting rock bottom on Friday morning. I took 2 hour naps Friday, Saturday, and Sunday and stayed at home for the most part while avoiding stress. I was starting to feel better yesterday, but now I’m not feeling 100% again today—but not in the “dark cloud” kind of way, just very exhausted. So I mentioned that I was going strawberry picking on Friday. Well, that didn’t happen. I was feeling so completely overwhelmed and depressed by the time we had to leave. I still wanted to try to go and get calmed down on the way. I got about half way there and pulled into a parking lot and let them know I wasn’t coming—I just couldn’t stop crying. And I hate that. I really wanted to go—well, the REAL me really wanted to go. I know it was the best decision though. I just don’t like to fall apart in front of people. It also didn’t help that I ended up running late—and I used to be a very punctual person. With a child, I just can’t seem to be punctual! I had to wake baby girl up to leave because she was still sleeping at 9 a.m. (which hardly ever happens), so I had breakfast for her that she could eat in the car, which she has done quite a few times now with no problem. Well, this time she decided to squeeze her fruit packet everywhere. She was completely covered. And I just completely fell apart—I had been on the brink of it since the incredibly stressful doctor’s appointment. It was all too much. While driving there, I remembered a tip given in an online PPD support group—know your signs. I saw all of my signs—feeling overwhelmed, being irritable and angry, that horrible weighted down feeling that causes lack of energy, and constant negative thoughts about myself and life in general (the dark cloud feeling). I wanted to ignore them, to will them away—but that’s now how it works. So I did what I had to do in the early days of recovery—rested. I allowed the house to be a mess and tried not to look at it. I didn’t do any laundry. The oven is broken, so that facilitated less cooking. Hubby canceled with the company that was supposed to come for the weekend and did a great job taking care of baby girl and being a rock for me. I cried when I needed to cry—feeling the emotions instead of pushing them inside, as my counselor told me to do. I talked to hubby about how I felt and the thoughts that I was having. I prayed. I listened to music. I’m so afraid that this is how my life will be forever and that I won’t truly be myself again. They say the path to PPD recovery is a zig-zag line even though we want it to be a straight line. But I guess I’m still headed in the right direction—even simply for just being here and not giving up the fight. I’m so glad that I have a counseling appointment today—it has been too long. I have a lot of things to talk about and talk through. Change begins with me, but it will be a learning process—one that I am 100% willing for now. I think it takes being broken to realize that you need help and you need change. We are on the roller coaster of life .....it would be nice to always feel "up" but that is not normal either. I guess without the "downs" or "blahs" on occasion we wouldn't know how great the "ups" and "good" really feel. There is something very different about the "downs" caused by depression. I have my "blah" days, but this is so much different. It's hard to explain and you can only truly understand it once you've gone through it. It's sososo hard sometimes to cancel plans, but it sounds like it was the best thing for you. I'm also relieved to hear that your hubby cancelled the company that you were supposed to have; having the weekend to sort out your emotions, and FEEL your emotions was certainly the best thing you could do. It sounds like you really practiced some self-care this weekend! How often do you meet with your counselor? Do you think it would it benefit you to have more frequent appointments? 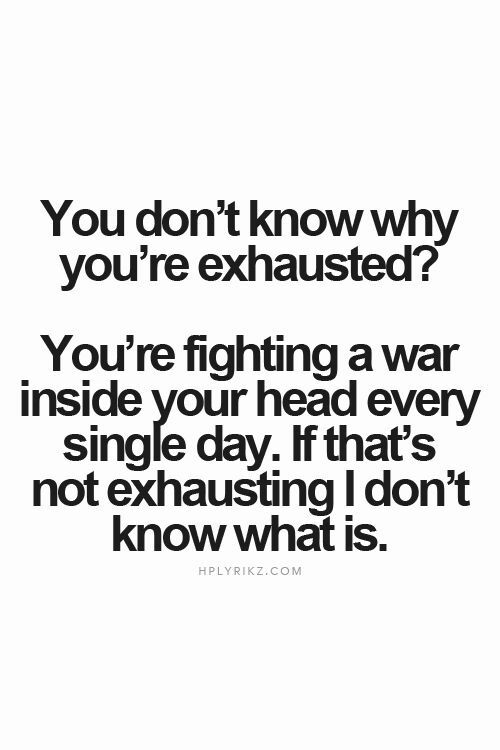 Depression is truly exhausting. You are strong though, and you will get through this! Sending you a hug and positive thoughts!! I am so sorry to hear you are having some super low days again! ((hugs)) I hope the counseling appointment went well. It's good that you have some knowledge to help you work on the issues now. Can you think of any stress or anything that could've triggered this. Well, I guess maybe that really bad appointment the other day??? Although I've had/have depression, it's never been PPD and my lows haven't been so bad in a little more than a year. Not sure if there are triggers for depression or not. Regardless, I'll be praying for you and hope this low goes away soon!